Here's a few (mostly) cell phone photos taken by our lovely friends on the most magical day of our life! We can't wait to share our photographer's wedding photos with you all. 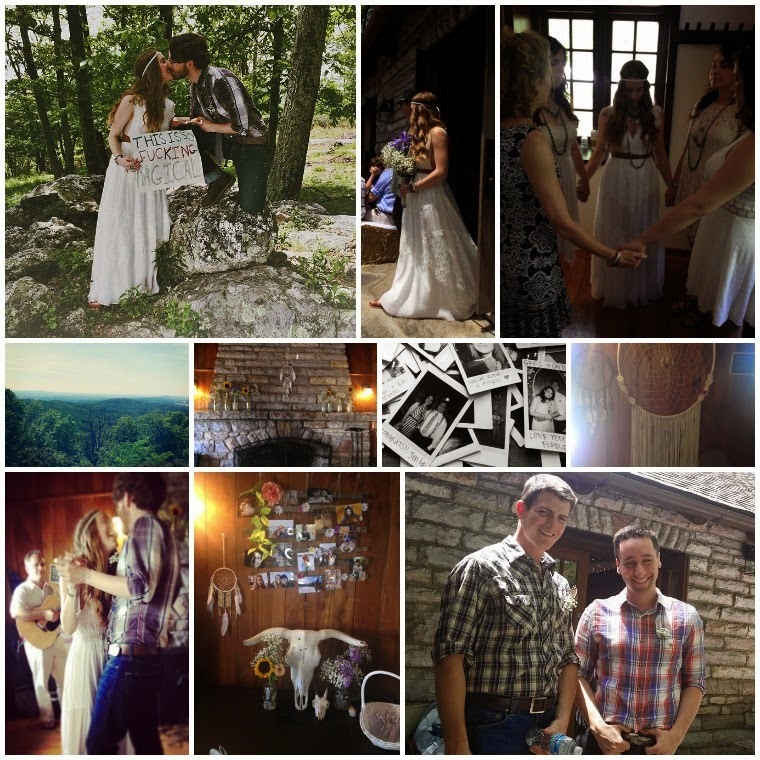 The big day was shot by the beautiful, talented, warm spirit Sarah Loven (photo in the top left corner is by her). And away we go on our honeymoon getaway! For shipping info on orders placed during our time away from the studio, see our shipping announcement. Thanks for all your love and support!